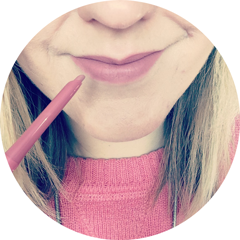 Every month I'm emptyin'... beauty products that is! I'm a bit late posting March's empties (I only went and got married didn't I) but better late than never. I've been pretty good at not buying new products that I already have lots of, so every month I feel like I'm denting my stash a little and boy does it feel good! Here's what I used up in March. I'll be honest, I bought this scrub purely based on the scent and it didn't disappoint; the sweet lime scent is so invigorating and refreshing. The scrub itself is made up of brown sugar, macadamia grains and almond oil, which is a really nice formula but not quite scrubby enough for me. Re-purchase? I'm not sure - I love the scent though, so maybe the shower gel would be a better bet. This is one of the best natural, SLS free shampoo and conditioner duos I've tried to date and has a gorgeous, zingy scent. For normal to oily hair, these did me so well when I started extending the period between hair washes by a day, as it purified my locks without stripping them. Full review here. Re-purchase? I would in the future, but I've bought an OGX duo to try instead. I have a full review coming up of this dry shampoo as I also have two of the other scents from the range. It's not the cheapest dry shampoo out there, but it's pretty darn good. Rio has a reviving, tropical scent - as you can tell from the three products so far I do love my citrus notes! This is the second tube I've used up of the oil free version of the Laura Mercier primer. It doesn't break me out and feels just like a moisturiser; Vitamins A, C and E equal a smooth and hydrating base for my foundation and about 7-8 hours wear. Full review here. I'm so sad that this has ran out, because it's one of the best moisturisers I've tried. It suited my oily/combination skin so well, keeping it re-balanced for longer and containing Jojoba Seed Oil to help with inflammation! I just wish I could afford to re-purchase it. Full review here. If you're looking for a gentle, makeup removing cream cleanser, then this is a brilliant, purse friendly option. Containing Honey, Propolis and Beeswax, it feels soft and nourishing on the skin and smells amazing too. Re-purchase? I'm using a Green People one at the moment, but I'd definitely buy this again. I still need to try out the Co-lab dry shampoo it sounds fabulous! I'd definitely get the Sugar Crush shower gel if I were you, I think the scent is better in the shower gel compared to the scrub :) oh how I miss that smell. Ooh I'll have to try it then! I know, I miss it already. I can't believe I'm a Mrs!!!! I am really interested in trying that dry shampoo! 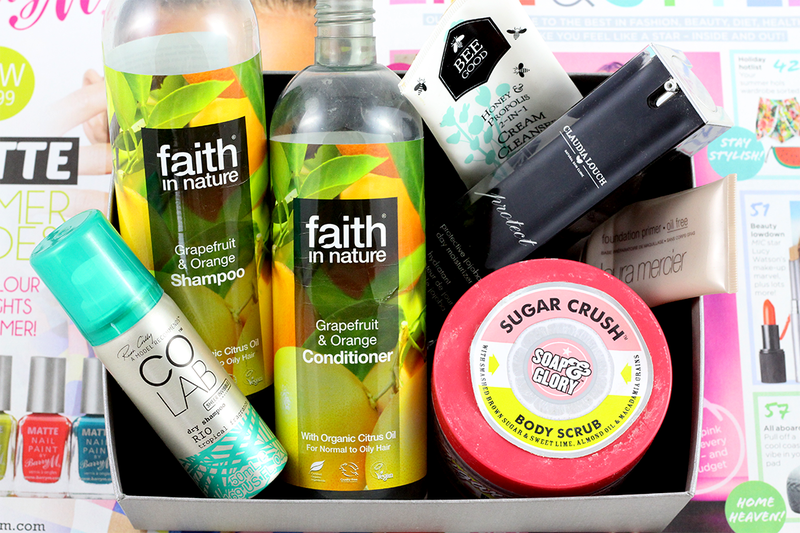 I like Faith in Nature shampoos and conditioners, I've tried several in the past and my favourite conditioner from them is Ginkgo Biloba. Yes, there is! I've heard about that one but haven't tried it. That 2-in-1 cleanser sounds SO lovely. Btw, I'm literally dying to see your wedding snaps and hear more about your big day. I'm so desperate to see a snap that I told my other half and made him promised we'd take a wedding day selfie for the world to see - just in case anyone feels the same about my big day as I do about yours! hahaha! Congratulations again! I love the Co-lab dry shampoo and how it leaves no white residue. Sadly the Laura Mercier Oil-free primer didn't do it for me.